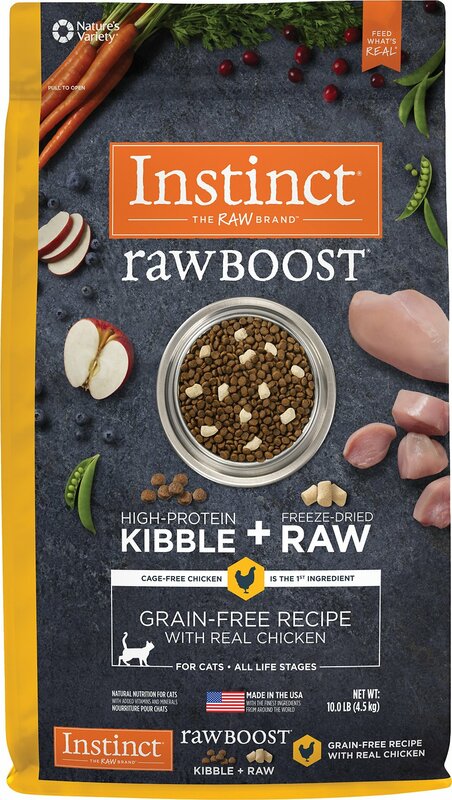 A better way to feed kibble, Instinct by Nature's Variety Raw Boost Grain-Free Recipe with Real Chicken Dry Cat Food is high animal protein, boosted nutrition featuring bites of freeze-dried raw meat throughout. 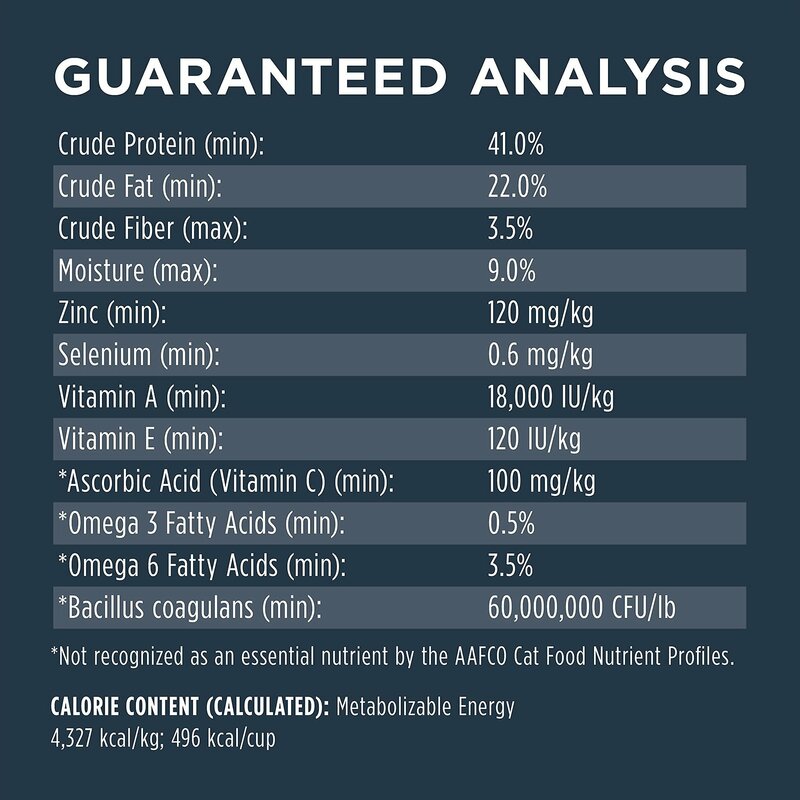 Created to unlock your cat’s potential to thrive and put the benefits of raw nutrition into every bowl, it’s made with cage-free chicken as the first ingredient for strong, lean muscles. 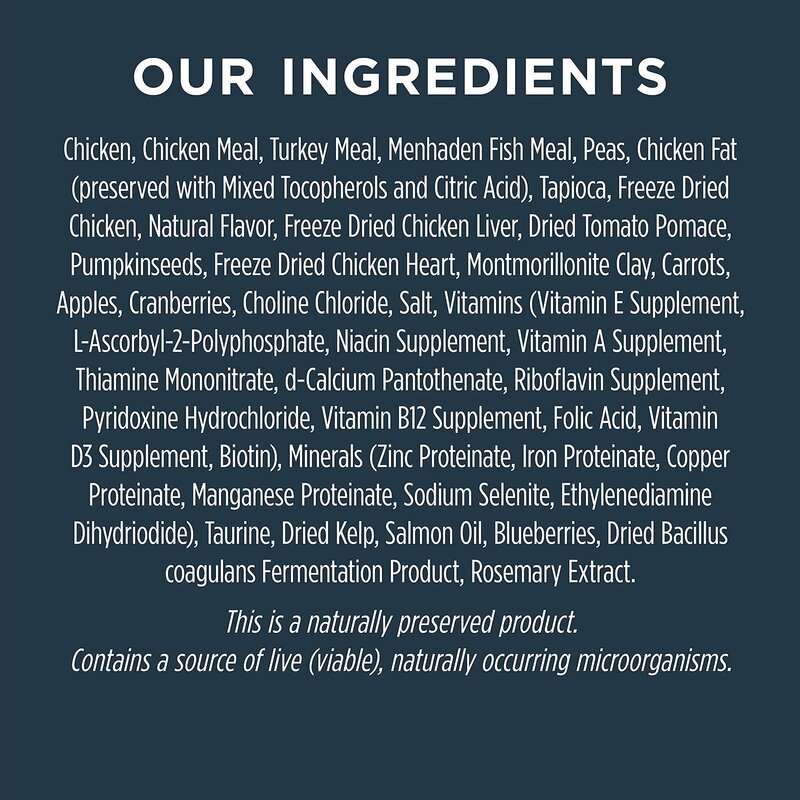 There’s also probiotics for digestive health, higher levels of omegas* for healthy skin and coat, plus more antioxidants* for immune health—and it all comes from the finest ingredients from around the world. 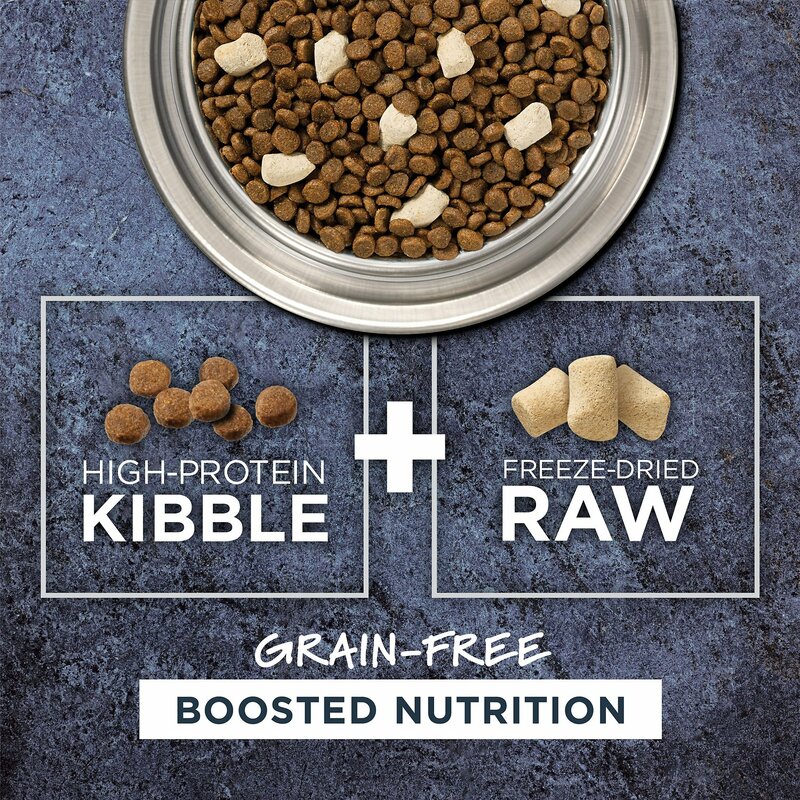 Boosted nutrition with high-protein kibble + freeze-dried raw. Cage-free chicken is the first ingredient so it’s packed with animal protein for strong, lean muscles. Includes a probiotic boost for digestive health, higher levels of omegas* for healthy skin and coat, and more antioxidants* for immune health. 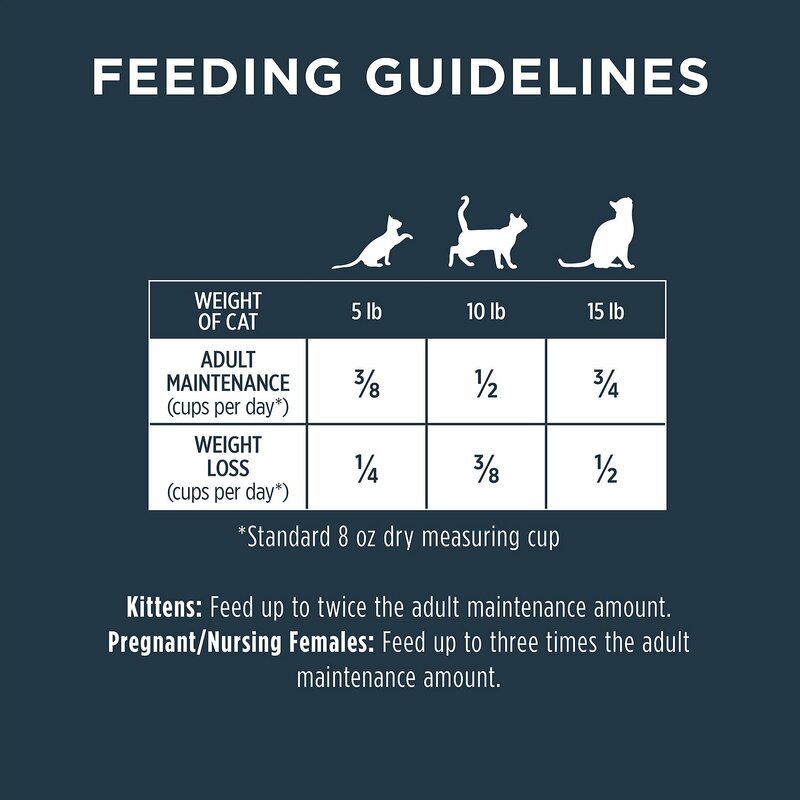 Pregnant/Nursing Females: Feed up to 3 times the Adult maintenance amount shown above. 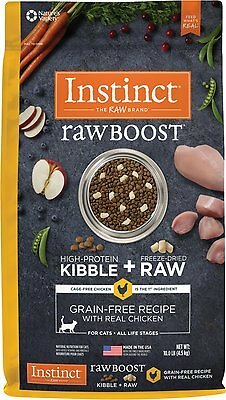 Instinct Raw Boost is a better way to feed—combining grain-free, high-protein kibble plus freeze-dried raw in one bag. 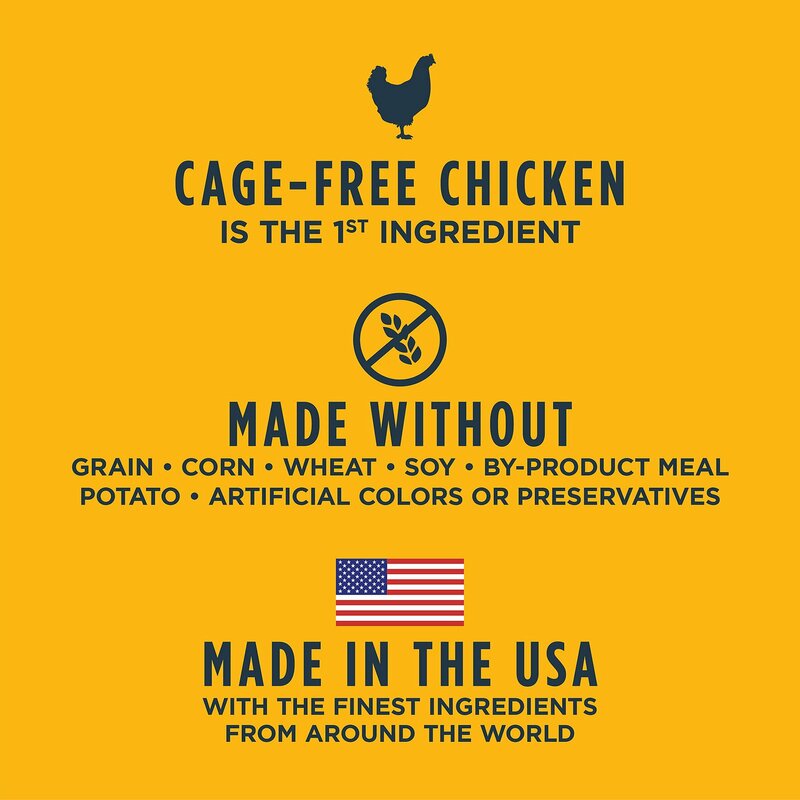 Each recipe starts with real meat like cage-free chicken or farm-raised rabbit. These protein-packed recipes offer a natural probiotic boost, higher omegas* and more antioxidants* (*than Instinct Original) for digestive health, skin and coat, and a healthy immune system. 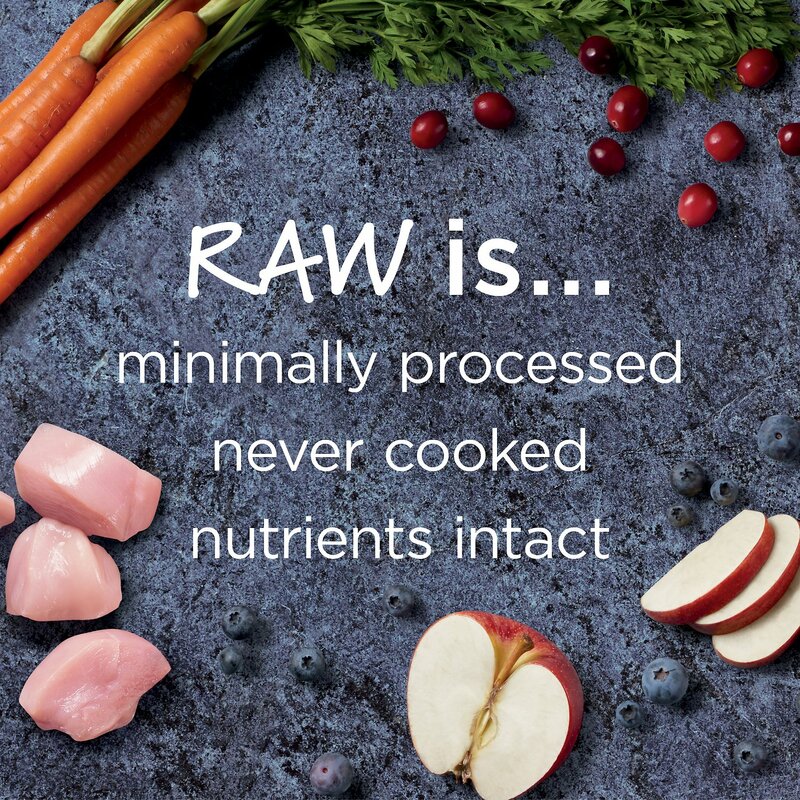 Minimally processed, all-natural, protein-packed bites of real meat and non-GMO fruits and vegetables. 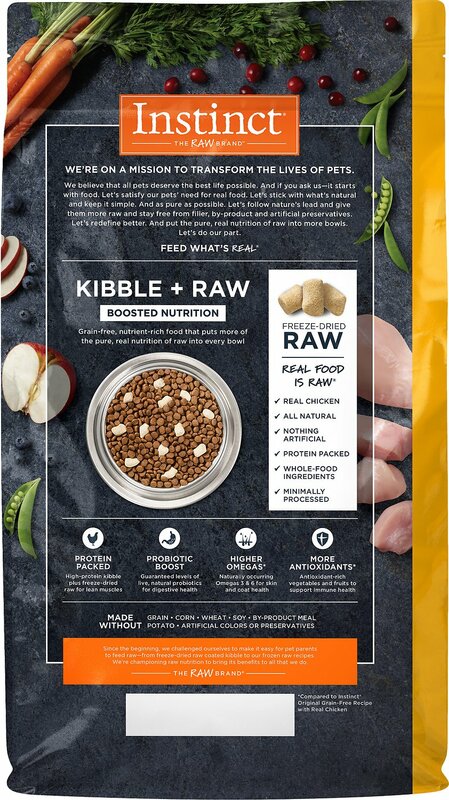 I love that its a healthy food with good ingredients, and my kitten eats her bowl over the day instead of eating it as if she were starving but the cost is a prohibiting factor. If this bag doesnt last my cat a full month i wont be able to justify a second order of it. Cats seem to love it!!! They seem satisfied and love the treats inside. Your furry babies will love it! I usually get the weight management one, but made a mistake and order this one. I got this because my kids like variety and I liked the idea of freeze dried chicken bits. I opened the bag. Nothing. I shook it all around. Not one single piece of chicken. So far no one seems to love the kibble so I won't be buying it again. Been purchasing this for over 5 years and am on auto ship. 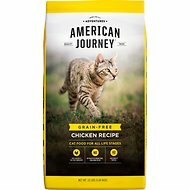 Yesterday opened our order and my kitties are so excited when I open a new bag .. they love the raw bites and take it out first to eat. I opened it and literally there are 8 raw bites in the bag :( never happened last monthly as and previous bags are loaded with raw bites ... the kitties are giving me the side eye when I feed them .. called Chewy and spoke with Ariel she was really nice and said They would ship out another bag and this bag can be donated to a rescue or shelter .. thank you Chewy for doing the right thing .. you have my business for life ..